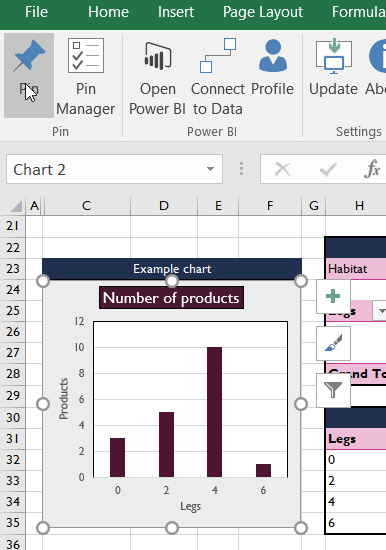 You don't have to import workbooks into Power BI Service to use them, as this page will show! 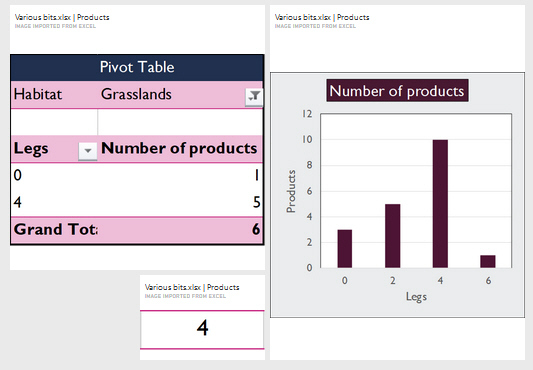 This blog uses this workbook, which contains various tables, charts and pivot tables. 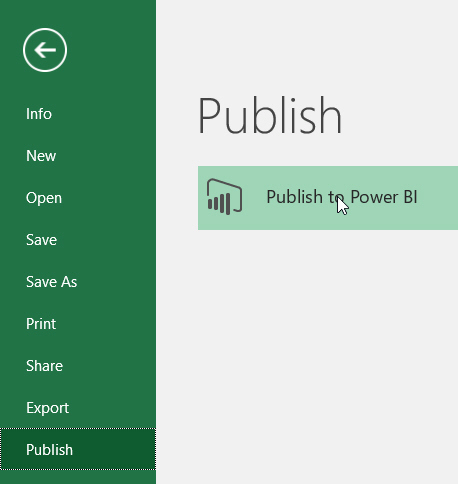 Use this menu option to publish a workbook to Power BI Service. See the previous part of this blog for what the two different options mean. 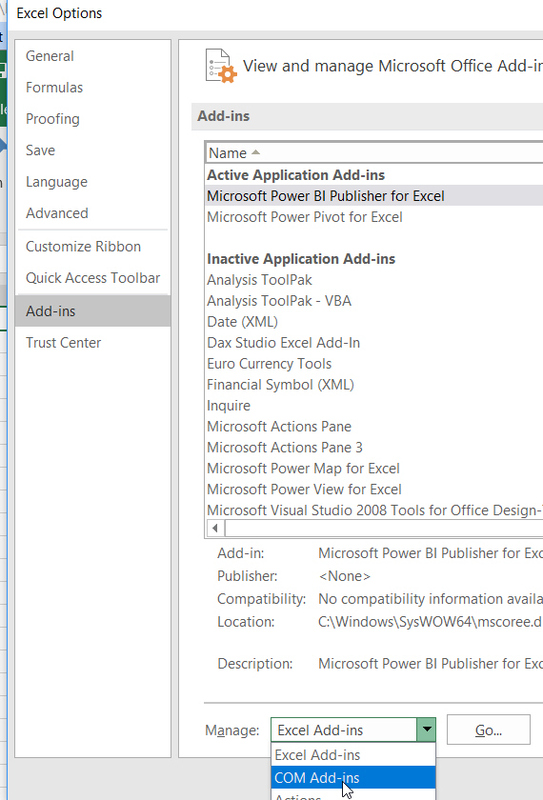 Another option would be to install an Excel add-in allowing you to publish parts of a workbook to Power BI. You can download this here. Installing this add-in gives you an extra tab on your ribbon. Choose this option in the Excel Options dialog box then click on the Go... button. You should then be able to choose the Power BI add-in. Here I'm pinning this chart. You'll obviously need to check you're signed into Power BI Service at this point. Here we're creating a new dashboard, and pinning the chart to that. 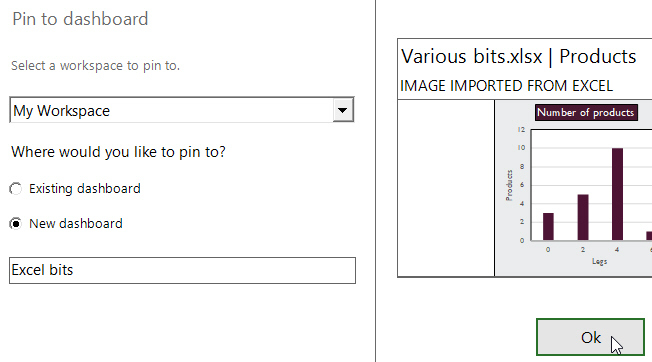 Click on this tool on the add-in ribbon to see your pin history! You can see when you last pinned each bit of your workbook. Hmmm ... pin them, or bin them? And with that, I think I've exhausted all the ways in which you can get Excel and Power BI Service to talk to each other! Time to move on to the next section of this Power BI Service training, which is on creating and using app workspaces.